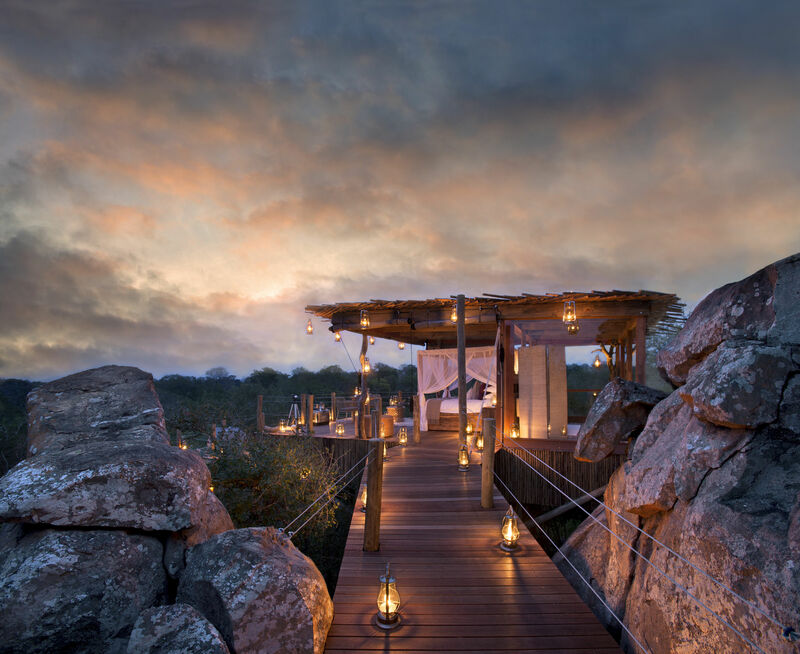 For those with an adventurous spirit, a romantic soul, or a heart longing to escape from their day-to-day, there are a few magical places to be found hidden among the scatterings of trees within Lion Sands, a 7,000ha African wilderness forming part of the Sabi Sand Reserve. 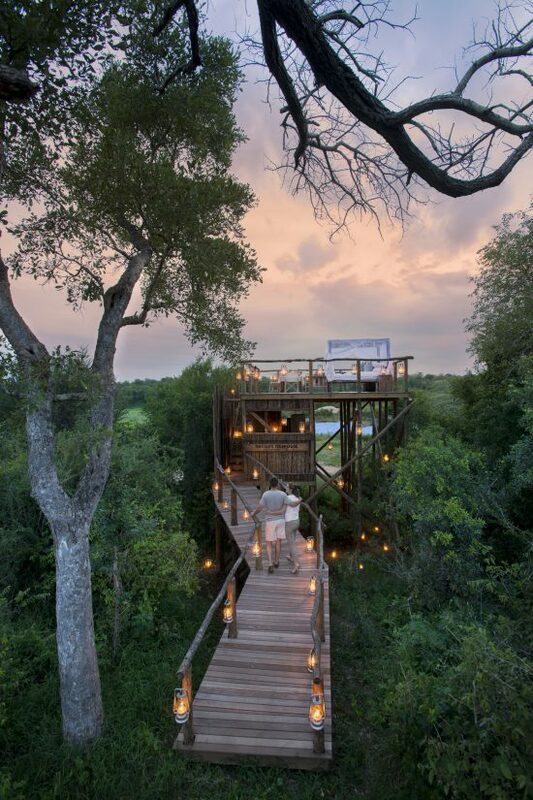 These alluring treehouses put travellers eye-level with some of the area’s 500 different species of bird while evoking a sense of childish nostalgia coupled with intoxicating romance. 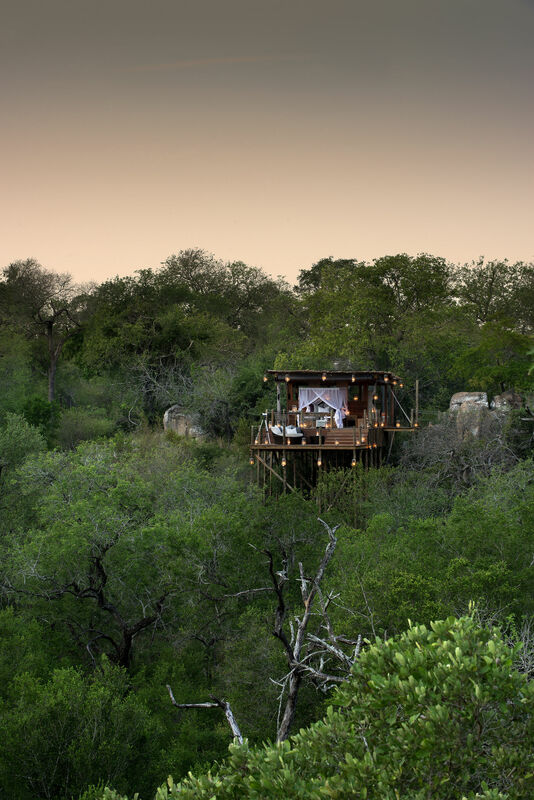 Whether it’s in Chalkley Treehouse, appointed around the trunk of a 500-year-old leadwood tree; Tinyeleti Treehouse, overlooking the Sabie River; or Kingston Treehouse, whose deck skims the top of surrounding trees – guests are promised a secluded night beneath a sky bursting with stars. Here, the secret world that is the savannah after dark is yours. 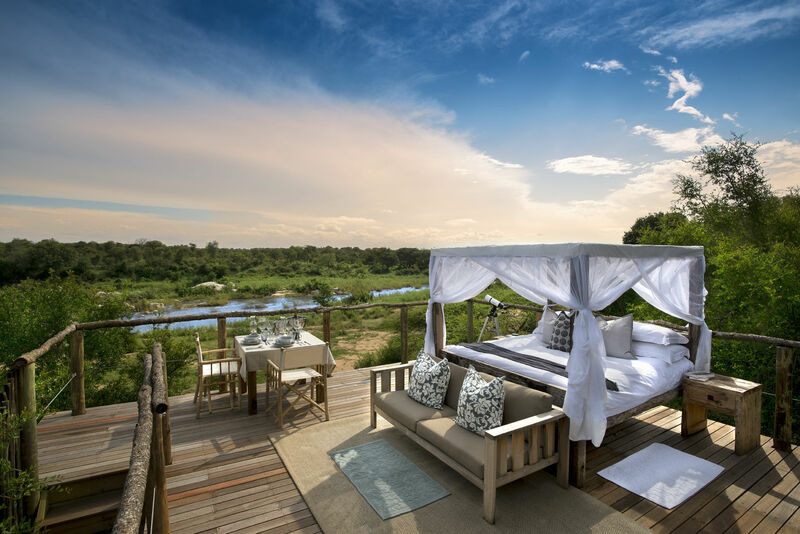 A stay at each treehouse begins shortly before sunset where guests are greeted with a delectable picnic dinner and accompanying drinks after being shown around their bush bedroom. 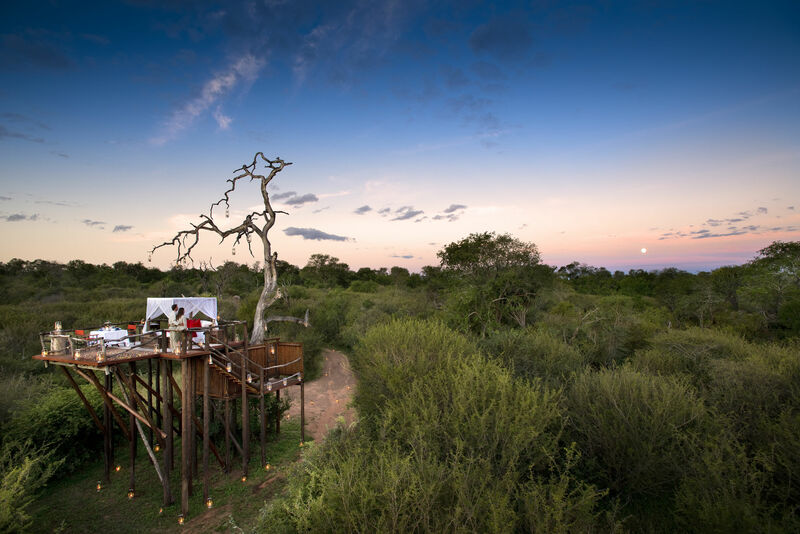 Savouring this feast al fresco from their lofty perch, intrepid travellers will no doubt consider their place in this vast expanse while daylight fades across the horizon – just as it has every day since this sanctuary was created and even longer before that. 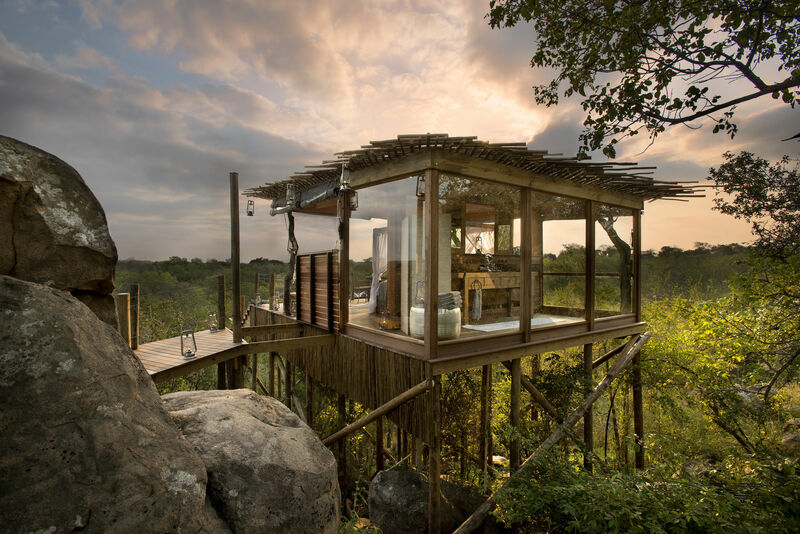 Lion Sands’ treehouses had their inception at the large leadwood tree Chalkley Treehouse now rests against. 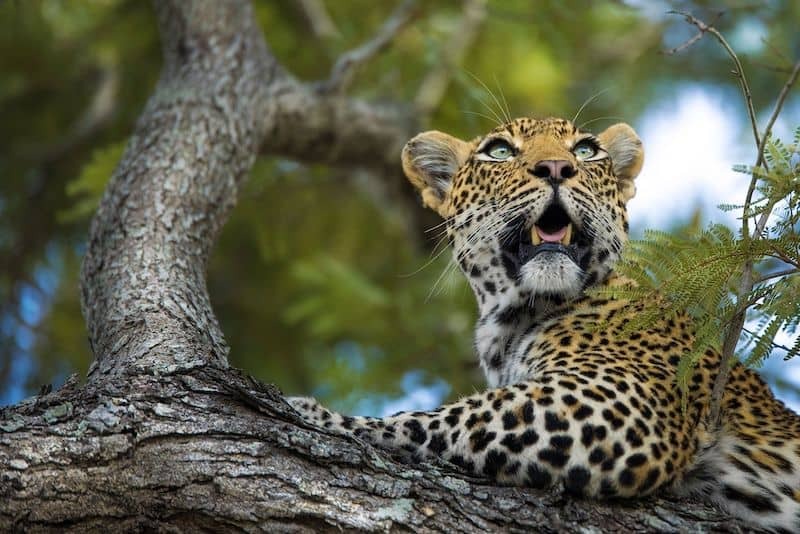 This is the same tree that Guy Chalkley, the original custodian of this paradise, set up camp in to evade roaming predators. He would have looked out over a vista as immaculate as the one before you, altered only by the seasons and the ever-turning cycles of nature. 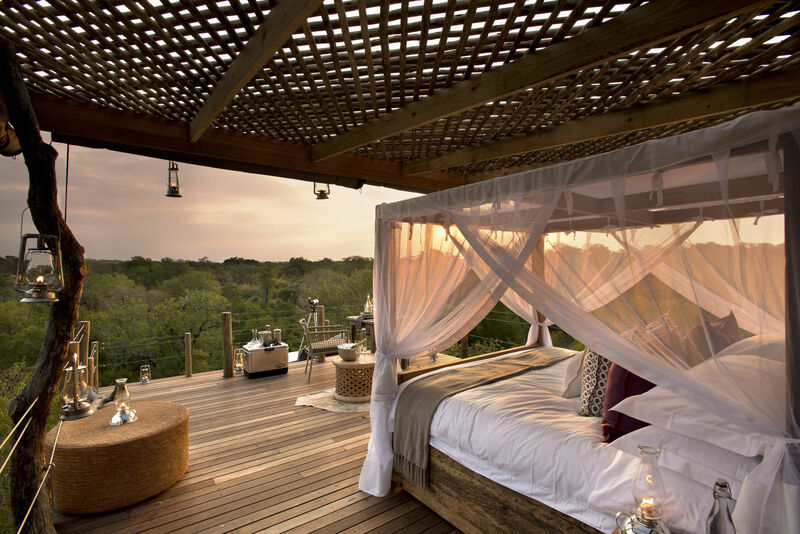 The cooing of doves combined gently with the chirping of insects form a charming dinner-time serenade that lulls the sun gently below the horizon. Though a spectacular African sunset savoured from these secluded spots might seem like they can’t be topped, the stars, naturally, are the stars of the show. 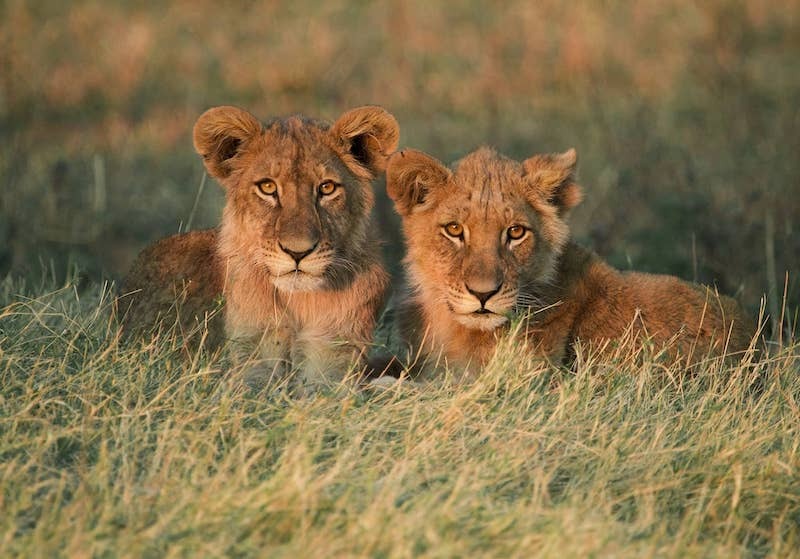 Another soundtrack for the evening is the low murmur of antelope and a distant lion’s roar, while the rumblings of passing elephants below reverberate across the landscape. Simply drift off counting satellites and shooting stars as they arc across the sky, secure in the knowledge that a dedicated field guide is at the nearby lodge and only a radio call away. When the night is over, wake to the pre-dawn cries of the jackal. 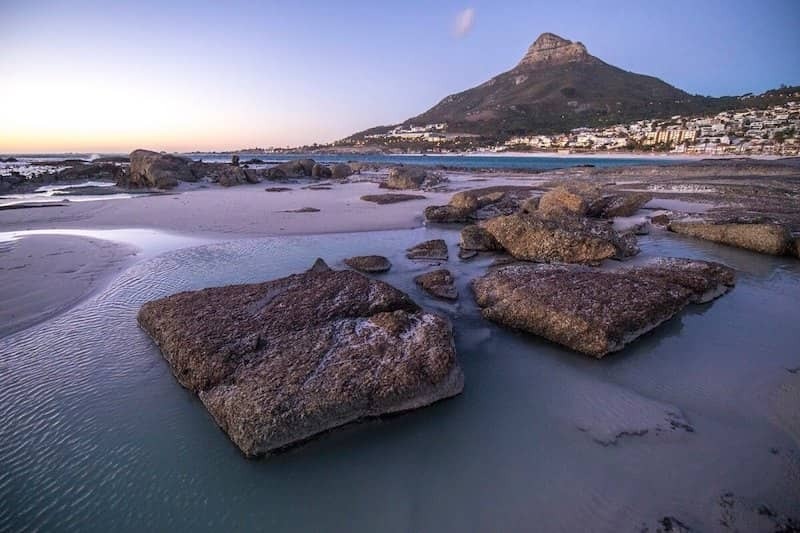 After being part of the awakening wild and absorbing the morning sunrise with a steaming cup of coffee, it is time to descend. 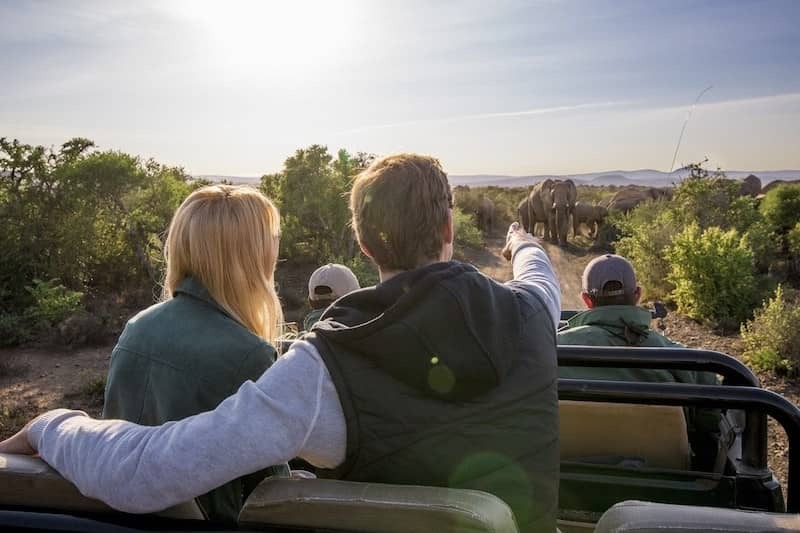 The morning game drive that begins once you reach the ground and pauses midway for a bush breakfast is the perfect salve to ease the pang that accompanies coming back down to earth after a night in heaven. 2 responses to "The Magical Treehouses of Lion Sands"
I want to go – so romantic!